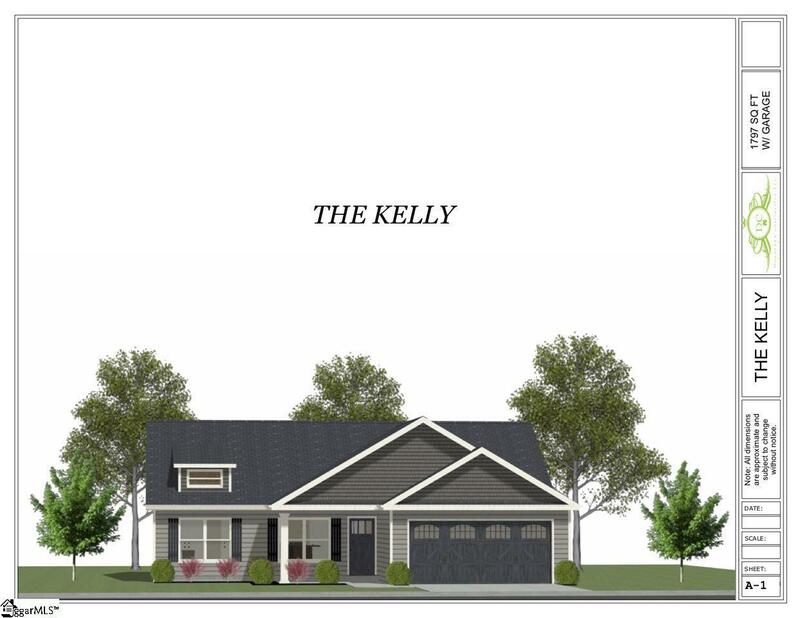 New Construction on .53 acres, split floor plan, three bedrooms, two bath with eight foot ceilings. Vaulted ceilings in kitchen and living room with wainscoting in the dining room. Luxury vinyl tile in dining room and kitchen. Carpet in living room and bedrooms. Tile in master bathroom. Vinyl in second bath and laundry. Stone accents on front of garage. Trey ceiling in master bedroom with crown molding. Master bath with his and her sinks. Black flat top range, refrigerator, dishwasher, microwave and disposal included. Don't wait! Call today to choose your colors and other options.This home may qualify for 100% USDA financing.